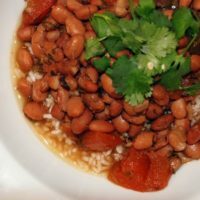 Borracho Beans, or “Drunk” beans, are a year round favorite in San Antonio, but I personally love them doubly so in Autumn. They’re warm, and earthly, and oh so filling. 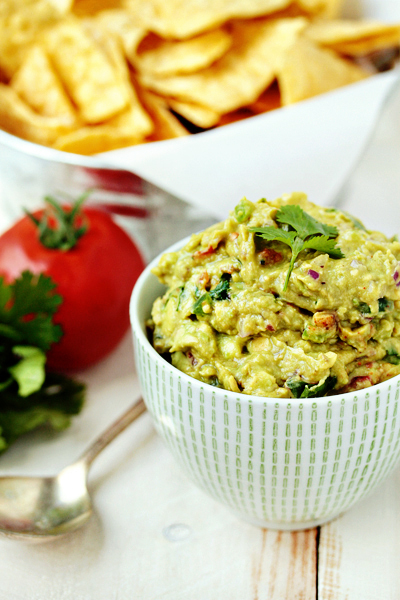 Great for eating before you head out to the Friday night lights of the home team’s football game. Really, you can’t go wrong with pinto beans, and bacon, and onion, and cilantro, and beer. The beer adds character, while the cilantro kicks the entire thing up a notch with a major blast of flavor. The real trick to these, to making a full meal out of them, is serving them over rice flavored with chicken-tomato stock. The entire dish is amazingly savory and delicious. 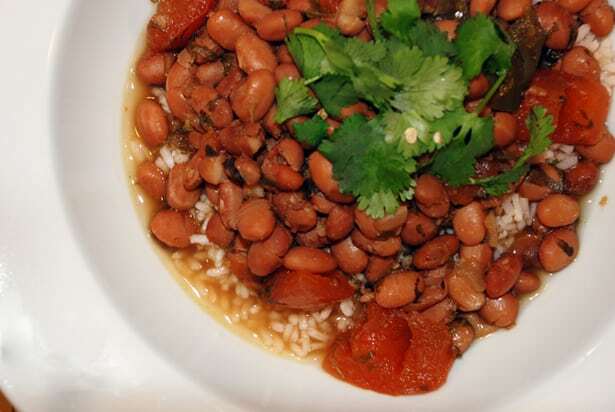 You can make Borracho beans with canned pinto beans, or go old school and use dried beans. I prefer dried beans because they’re about 75% cheaper. If you use dry beans, you first need to soak them for at least 24 hours. Or longer is fine too, if you happen to forget they’re at the back of the stove.. *ahem*. Right, so soak them for 24 hours, in plain water. When they’ve been softened, rinse them to make sure they’re clear of any dirt or tiny pebbles that might have made their way into the bag of beans. You can actually cook the beans on the stove, of go for the crock pot. Personally, if dinner doesn’t get started around 10 a.m. around here, we don’t eat until 10 p.m. So any time I can get things going in the slow cooker and have them ready for when we both finish work, it’s a bonus. 1 bottle of light beer - I used Bud Light because it's what I had on hand. You might prefer Corona or Tecate. Combine all ingredients except for 1/2 the cilantro in the crock pot or soup pot. Cook on low in the crock pot for 4-6 hours, or on medium-low heat in the stock pot for 1-2 hours; enough time for the bacon to cook through, and all ingredients to heat through. Add second half of cilantro just before serving. Goya's instructions say one packet to two cups of water. To bump up the flavor, instead do one to one. In addition, cook the rice with a stalk of celery. No matter what kind of rice you're making, if you add a stalk of celery to the pot while it cooks, it's going to improve the flavor. Throw the stalk away when ready to serve. Place a ladle full of rice in a bowl, top with a ladle full of beans, and then top with a bit more of the chopped cilantro. My wife turns 43 years old today. Along with fajitas and Spanish rice, this Frijoles Borracho receipe will help us celebrate this wonderful occasion tonight. I love my wife, and I know we’ll love these Borracho Beans. You’re so cool! I made these last weekend but I went the canned route. When I read your blog I feel like I found someone who speaks the same language in a foreign country! I have some pintos in the cupboard I was just going to boil with a ham bone as usual, but this looks SO much better. I’ll have to fake the chicken-tomato bouillon since anything Goya is pretty hard to come by in Colorado, but I think I can handle it!